Kay Marie Ainsley is a Managing Director of MSA Worldwide, a domestic and international franchise advisory firm. She has over 20 years of experience in franchising for major franchise systems or as a strategic advisor to companies within the retail, restaurant, services, manufacturing, and business to business industries. Kay provides franchise feasibility assessment and franchise program development, structure, and strategy that enable clients to meet their objectives. She also provides valuable expertise to established franchisors on system expansion, enhancing franchisee performance, franchise relations, profitability, system compliance, and effectively instituting change. She has created development programs to evaluate new market opportunities; established programs to source, recruit and select franchisees; negotiated international deals and developed and provided training and support programs for multi-unit and individual unit operators. Kay is a frequent speaker for the International Franchise Association (IFA) and other professional organizations in the United States and internationally. She has authored numerous articles on franchising, has appeared on television and is often quoted in the press on franchising and business expansion. Kay currently serves as a past Chairman of the IFA's Supplier Forum and is a member of the International Committee. She is a founding member of the Advisory Board of the Professional Athletes Franchise Initiative (PAFI) and is the chair of the PAFI Education Committee. 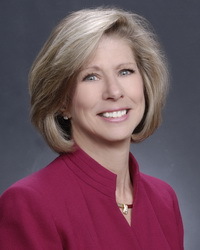 She has served on the Advisory Board of the National Franchise Mediation Program of the Center for Dispute Resolution that promotes mediation in settling disputes in franchising. Kay has completed the requirements and has earned the designation of Certified Franchise Executive (CFE). Kay was Director of International Development for Domino's Pizza International. She also served as Director of International Development for Ziebart International, an automotive aftermarket retail franchise. She entered franchising from the world of advertising. She was Vice President, Business Development and Account Supervisor for the advertising firm Lintas: Campbell Ewald on numerous consumer and business accounts.